Giving Alberta bitumen access to tidewater was an issue that dominated the last government’s resource development agenda. Multiple projects have been proposed, including the TransCanada Keystone XL Pipeline, the Enbridge Northern Gateway Pipeline, the Kinder Morgan Trans Mountain Pipeline Expansion and the TransCanada Energy East Pipeline. consult with indigenous peoples to ensure that regulatory law, policies and operational practices comply with the Crown’s duties to indigenous peoples under the Constitution and the Declaration on the Rights of Indigenous Peoples, including, potentially, a requirement that resource development projects should not proceed without the “free, prior and informed consent” of affected indigenous peoples. What remains to be seen is how these commitments will affect the review and approval of the alternatives to Keystone XL. 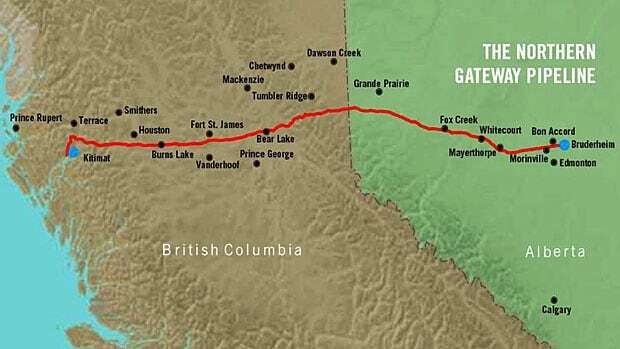 The Northern Gateway Project consists of two pipelines running 1,178 km between Bruderheim, Alberta and Kitimat on the BC Coast. One pipeline would transport 525,000 barrels per day of diluted bitumen westward, and the other would transport 193,000 barrels per day of condensate eastward. Approximately 190 to 250 tankers each year would carry condensate and diluted bitumen to and from the Kitimat Terminal. Click here for a map of the pipeline route. The federal government approved the Project on June 17, 2014 subject to 209 conditions. Northern Gateway is currently working to meet these conditions. Northern Gateway’s permit will expire on December 31, 2016 unless it starts construction of the pipeline or the Kitimat Terminal, or if the NEB grants an extension. A group of First Nations, environmental NGOs and one labour union laid 18 challenges to the approval of the Project. These involve claims that the environmental assessment and regulatory review of the Project did not comply with the requirements of the Canadian Environmental Assessment Act and other legislation. They also involve claims that the federal government breached its duty to consult with and accommodate First Nations about the impacts that approving the Project would cause on their aboriginal rights and title. First Nations with established rights and title claims argued that approval of the Project was an unjustified infringement of those rights and title. JFK had the privilege of representing Gitxaala in these proceedings, and argued the case last month at the Federal Court of Appeal. We will tell Gitxaala’s story in a future post. A separate challenge is being made against British Columbia by Gitga’at First Nation and a coalition of First Nations on British Columbia’s North and Central Coast and Haida Gwaii, including Wuikinuxv Nation, Heiltsuk, Kitasoo/Xaixais, Nuxalk Nation, Gitga’at, Metlakatla, Old Massett, Skidegate and Council of the Haida Nation. The challenge focuses on an “Equivalency Agreement” signed by the BC Environmental Assessment Office and the NEB, a federal body. For projects such as the Northern Gateway Project, both authorities must conduct an assessment. The Equivalency Agreement stated that the NEB could conduct an assessment on behalf of both parties. It went further, however, saying that the NEB Act, and not the British Columbia Environmental Assessment Act, would determine whether projects would be approved. This means that the federal government could approve Projects without BC’s approval. The Petitioners claim that BC acted unlawfully in giving up its decision making authority. The British Columbia Supreme Court will hear the case later this month. Trudeau has stated unambiguously that he will not allow the Northern Gateway Project to proceed. However, it is unclear how he will make this happen. The Project has already been approved and the relevant legislation does not enable the government to take back an approval. Trudeau has also promised to implement an oil tanker moratorium on the Northern BC Coast, which would make projects like Northern Gateway impossible. Kinder Morgan built the original Trans Mountain Pipeline in 1953. It runs 1,150 kilometres from Edmonton to Burnaby. Kinder Morgan proposes to expand the pipeline largely along its existing right of way. This would increase its capacity from 300,000 barrels per day to 890,000 barrels per day. Tankers would transport oil through the Vancouver Harbour to foreign markets. With the Expansion in place, tanker traffic would increase from 5 tankers per month to 34 tankers per month. The Trans Mountain Project is currently under review by the NEB. The NEB is required to complete its review within 15 months of determining that Trans Mountain’s application is complete. It plans to issue its Recommendation Report to the federal cabinet by May 20, 2016. There have been many challenges to the Project review process by the cities of Vancouver and Burnaby and many individuals. All of these have been dismissed. Tseil-Waututh Nation, which is located in the Burrard Inlet, is also pursuing a lawsuit. It has appealed the NEB’s Hearing Order and related decisions that defined the factors and the scope of factors of the environmental assessment, determined that the application is complete and can proceed to assessment and a public hearing, and established the hearing process. Tsleil-Waututh argues that the NEB acted unlawfully on a number of grounds, including that it failed to consult with and accommodate Tseil-Waututh regarding the decisions, that it created an unfair process for reviewing the Project, and that it failed to comply with the Canadian Environmental Assessment Act. Tseil-Waututh seeks to quash the Decisions, which would cause the project review process to restart. The Federal Court of Appeal heard the appeal on October 27, 2015. The Liberals have not taken a position on whether Trans Mountain should be approved, and instead emphasize the importance of reforming the review process. It is unclear whether any reforms would affect the review of Trans Mountain. A newly elected Liberal MP said that Trans Mountain would be undergoing a new review process, but Liberal officials clarified that this was not necessarily the Party’s policy. Energy East is a 4,600 km pipeline that would transport 1.1 million barrels of oil per day from Alberta and Saskatchewan to refineries in Eastern Canada and marine terminals in Quebec and New Brunswick. This would involve laying 1,500 km of new pipeline and converting 3,000 km of existing gas pipelines to transport oil. Click here for a map of the project route. Energy East is at an earlier stage than Trans Mountain in the review process. Public hearings have not yet begun. The NEB is determining whether Energy East’s application is sufficiently complete. If so, it will issue a Hearing Order that will initiate the public hearing process. Two challenges have been made to the review process, both of which were dismissed. As Energy East progresses further into the review process, more lawsuits are likely to arise. Like the Trans Mountain pipeline, the Liberals have not taken a position on whether Energy East should proceed.